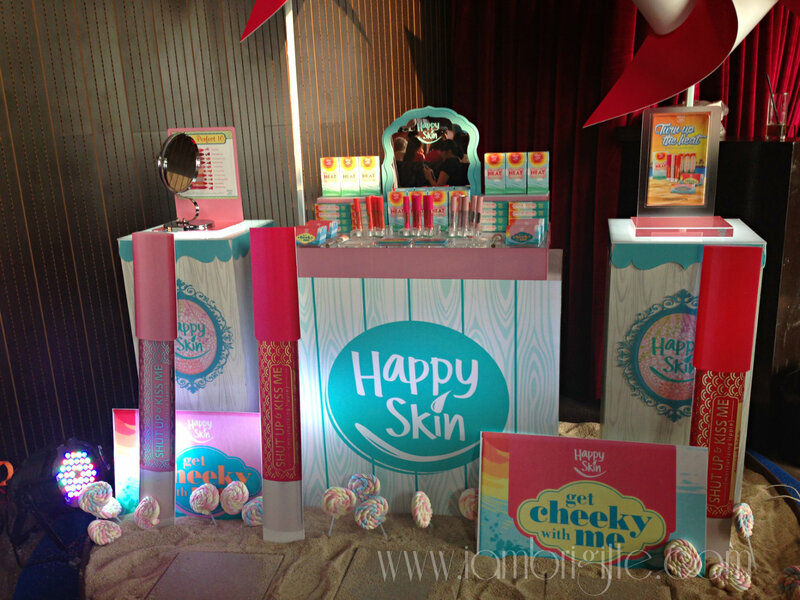 When Happy Skin launched in the Philippines last October, I was already in the UAE that I had no choice but to just drool over the photos of my friends getting their hands on the Happy Skin products. 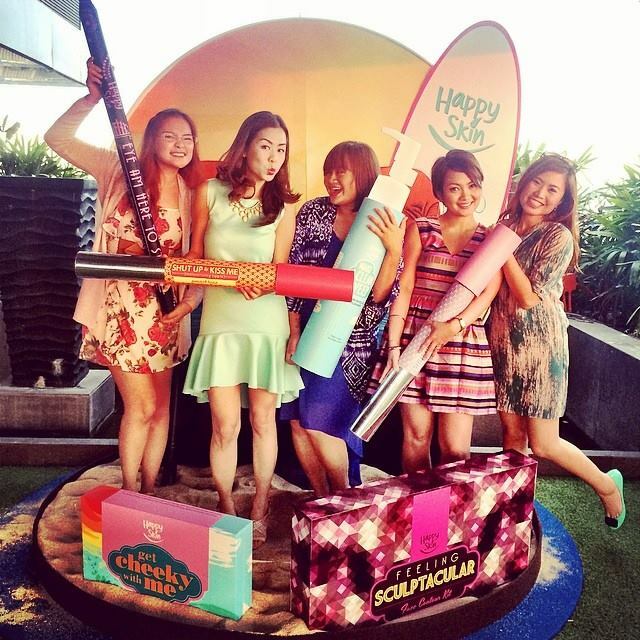 I went green with envy seeing my fellow bloggers getting first dibs on one of the most talked about brands to date. 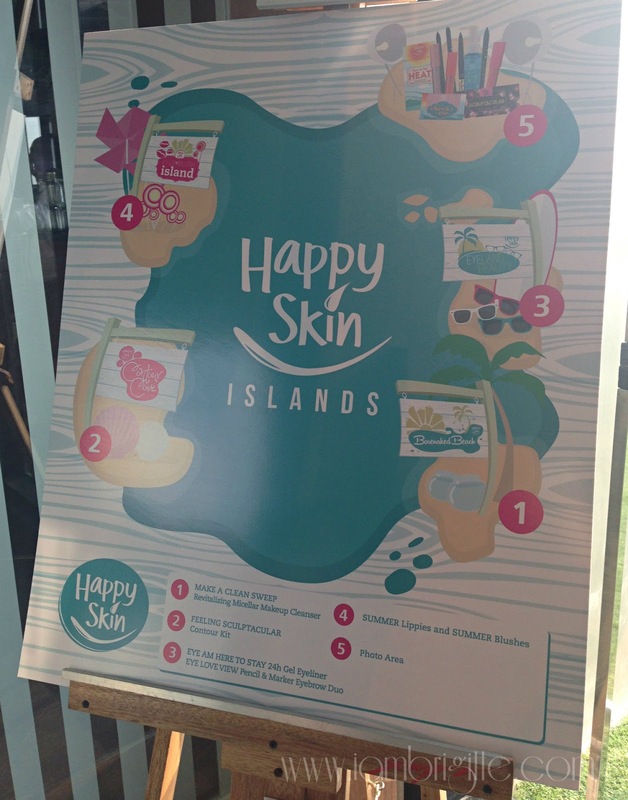 And so, when I learned that Happy Skin is launching their Summer Collection while I'll be having my vacation in PH, I really got so excited. And I even got more excited when I finally got the invite! Of course, what made me look forward to the event more was that I'd be able to see some of my good friends after a long time. The event was held a day after we arrived from Palawan, and though I was all tired (and burnt), I told myself this is one event I wouldn't dare miss. 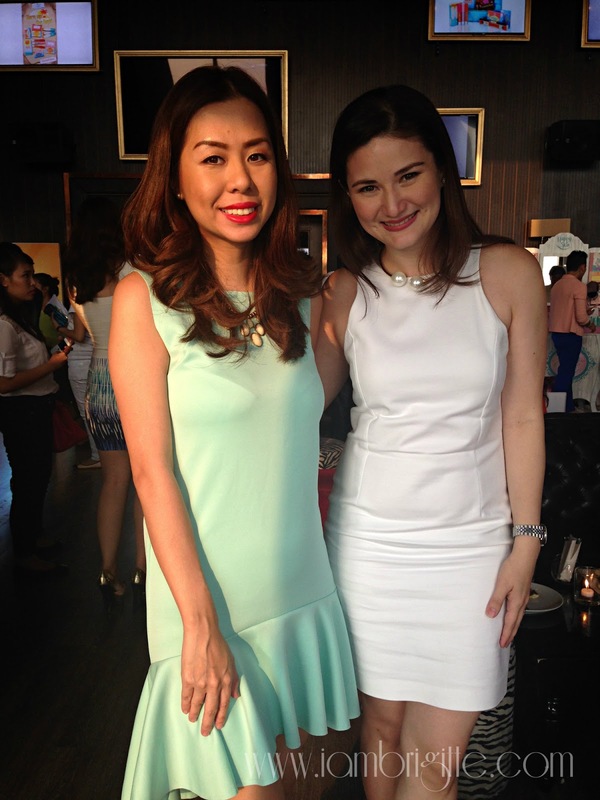 It was held at 71 Gramercy in Makati, and I was told it was one of the newest "IN" place nowadays. Just seeing this cute registration counter makes me want to go back to the beach and get a tan all day! 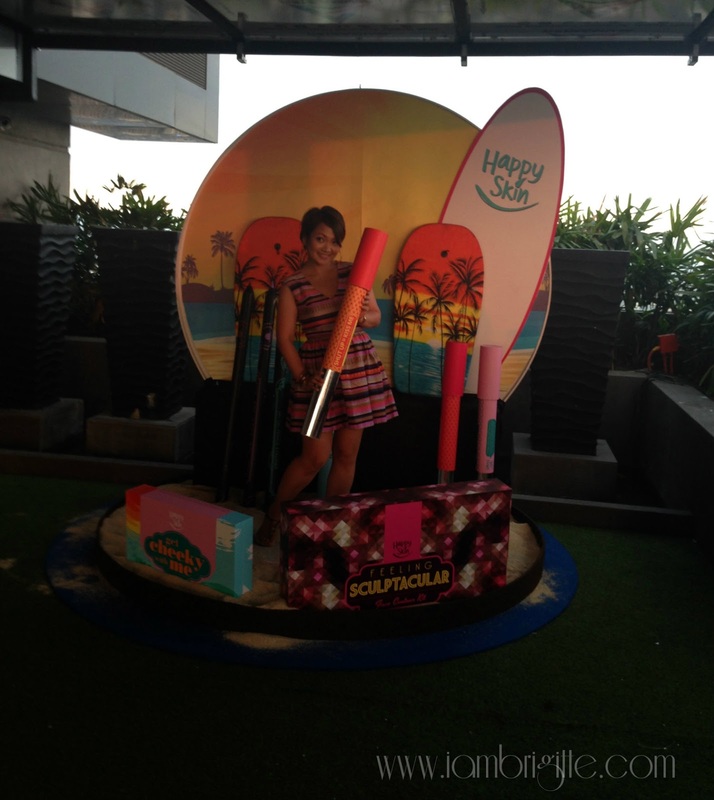 In this event, guests would have to go around mini "islands" to know more about the brand's newest offerings. Aside from their limited edition summer collection, they will also be launching products that will be permanently included in their growing line of products. Priced at Php599, this gentle yet potent water-based makeup cleanser contains micelle molecules, known to be able to remove even the most stubborn waterproof makeup. You can use it on your eyes, on your face and even on your lips! I was able to see for myself how it was able to easily remove Happy Skin's gel liners (will tell you about these babies later) in just a few wipes. 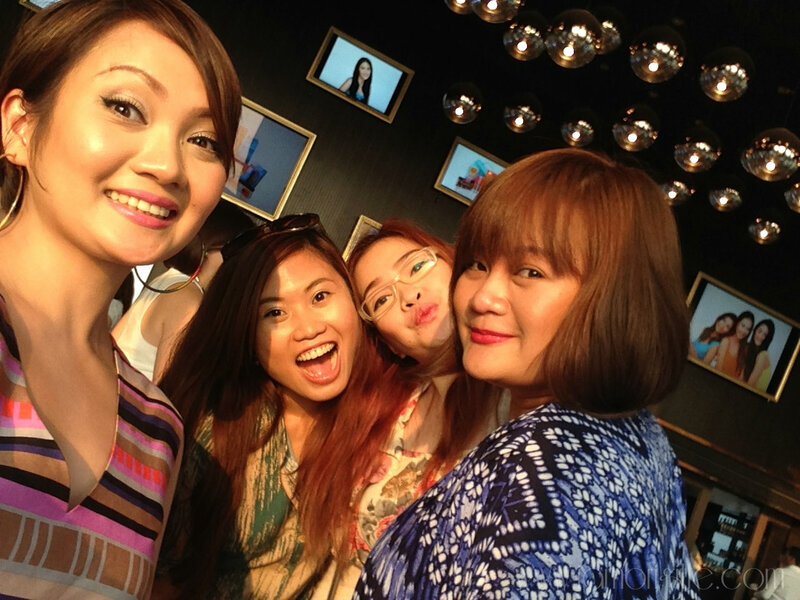 Next stop is this uber cute makeover counter where guests can have a mini-makeover with no other than Lourd Ramos! 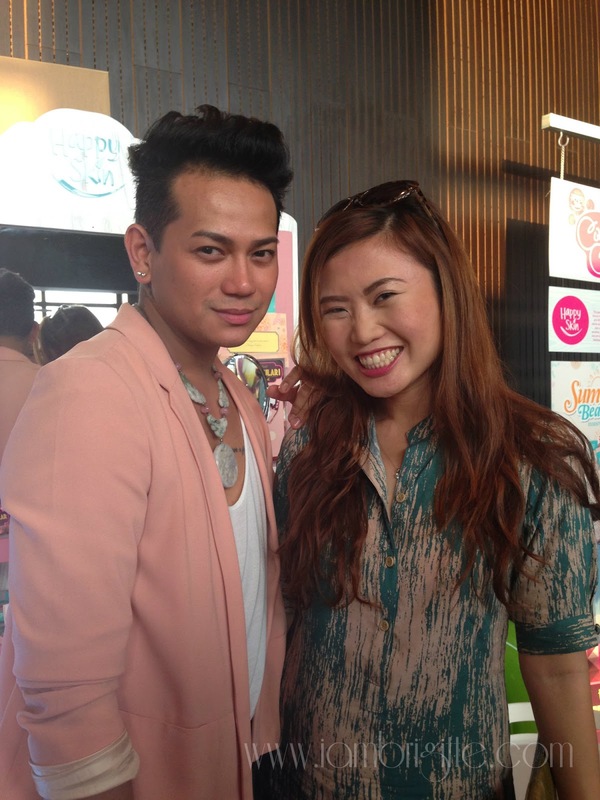 Tara getting first dibs on Happy Skin's Feeling Sculptacular Face Contour Kit with the help of Lourd Ramos himself! Want to have a chiseled jawline, nose and defined cheekbones without the need to go under the knife? Check out the Sculptacular Face Contour Kit. Priced at Php1199, this cute compact already comes with a highlight and contour powder and an illustration on how to use it. 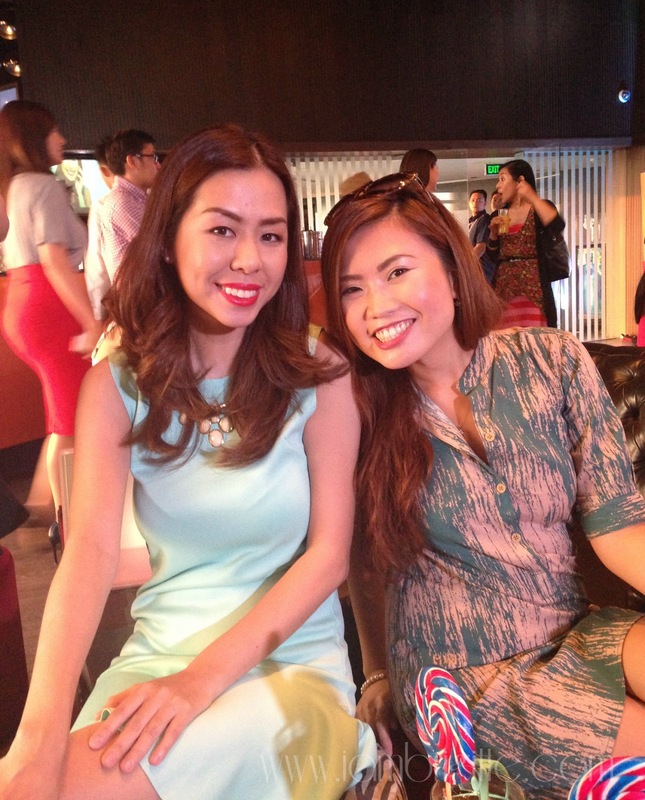 Lourd Ramos used Happy Skin's newest products on Tara. The result? 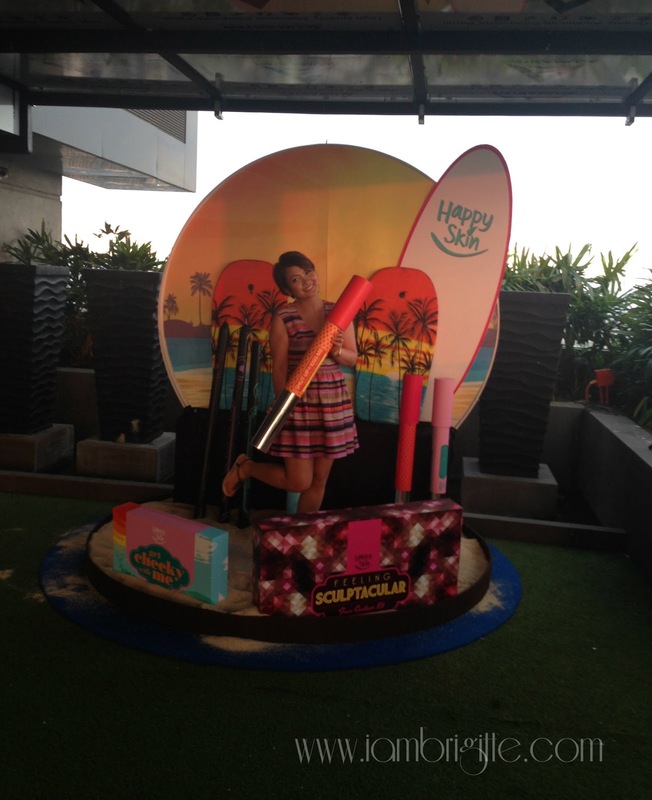 A happier Tara with her equally-happy looking skin! Our third stop is probably the most important for me. 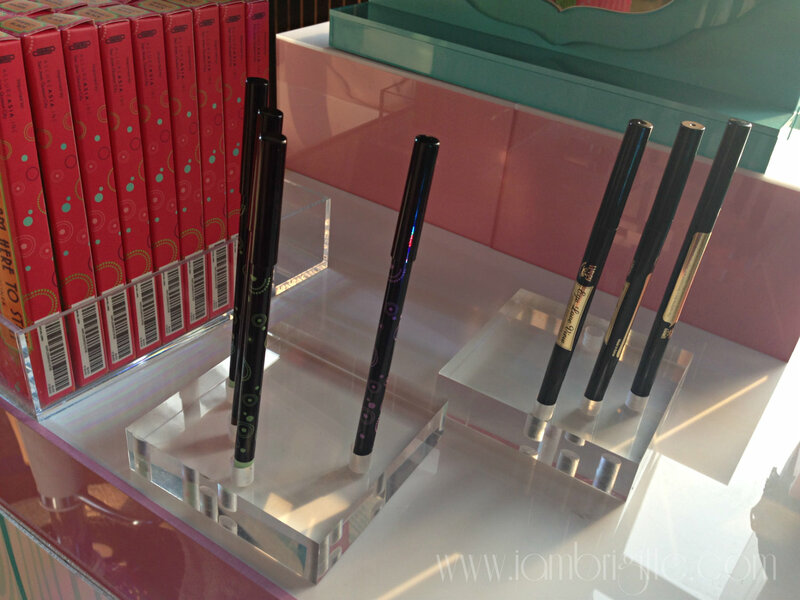 This "island" has two of my ultimate must-haves: the Eye Love View Pencil and Marker Eyebrow Duo (Php799) and the Eye Am Here to Stay 24-Hr Gel Pencil Eyeliner (Php499)! Maggie Wilson sporting killer brows and an intensely-lined waterlines using Happy Skin's newest eye products. She said she'd been wearing them since 9am that day and at almost 5pm, they are still intact. I had my eyes on the eyebrow duo but what also got me really interested is their gel eyeliner in Peppermint shade. For a long time, a flesh-coloured eyeliner is my go-to product whenever I want that awake look. This liner in Peppermint shade particularly made for the waterlines is something new for me. Green neutralizes redness, so yes, this definitely makes sense! 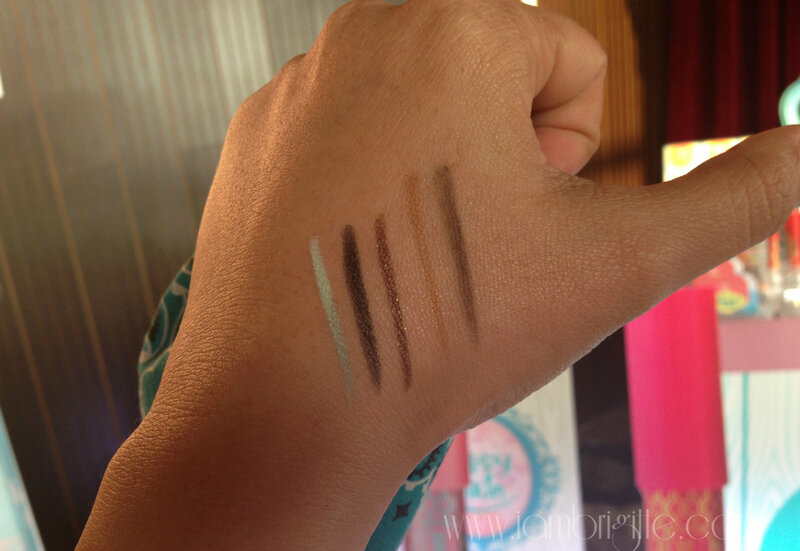 Their gel eyeliners are very easy to use and the pigmentation is amazing! These babies are definitely going to be staples in my makeup kit. 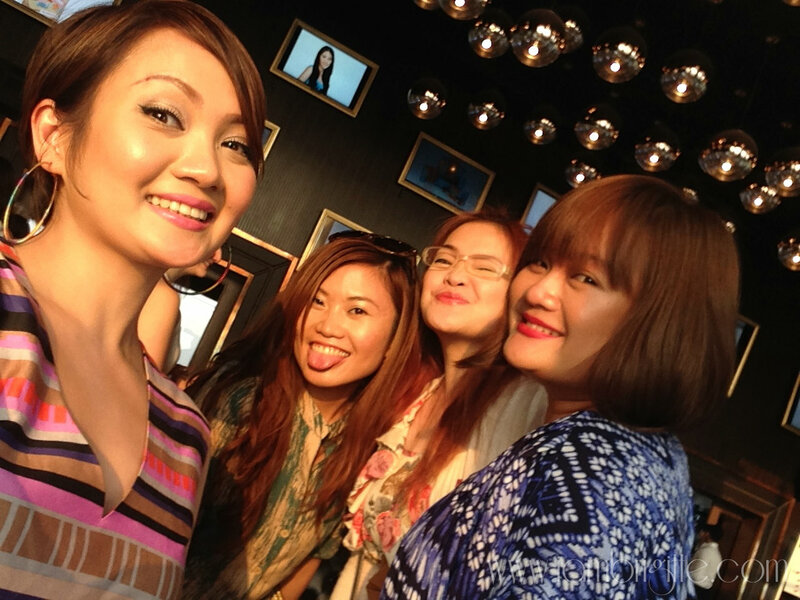 These new shades can be bought in a box set priced at Php1249 or individually for Php549. If I were you, get all three! 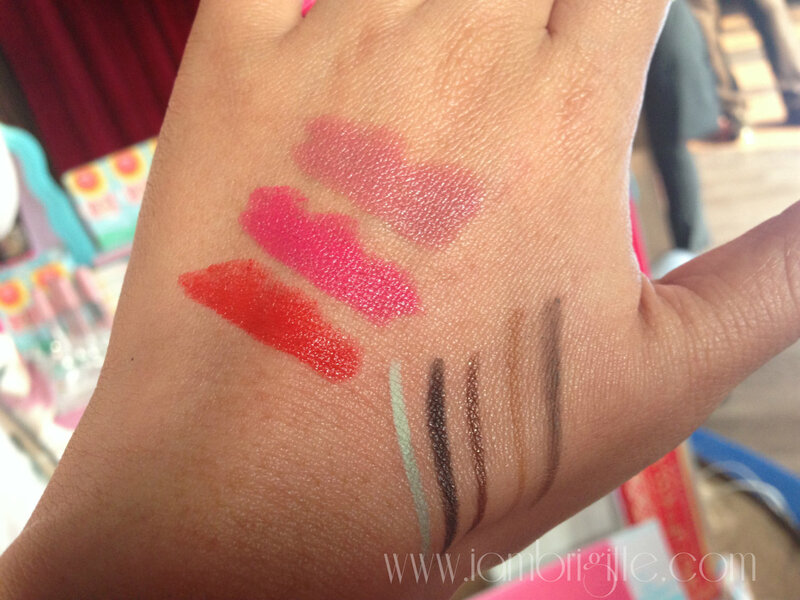 I am not a lippie-person myself but I already got a back up of these babies. Loaded with Shea Butter and Collagen, these lippies have a great pigmentation that last long without leaving a sticky after-feel. My Mom who's very picky when it comes to lippies love it too! She particularly loves Sunset Kiss. 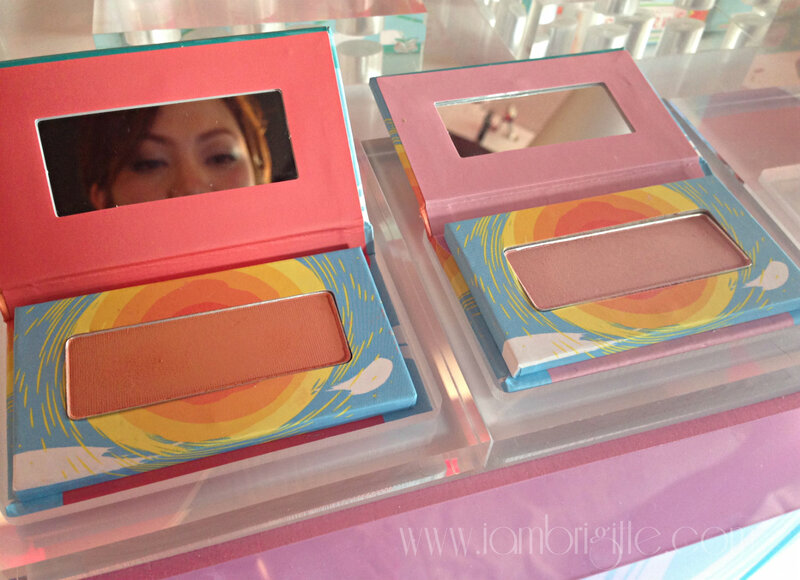 Also part of their limited edition Summer Collection is two new shades of their Get Cheeky With Me blush (Php699) in Sunset Kiss and The Morning After. I shy away from corals for my cheeks as they usually look muddy on me. 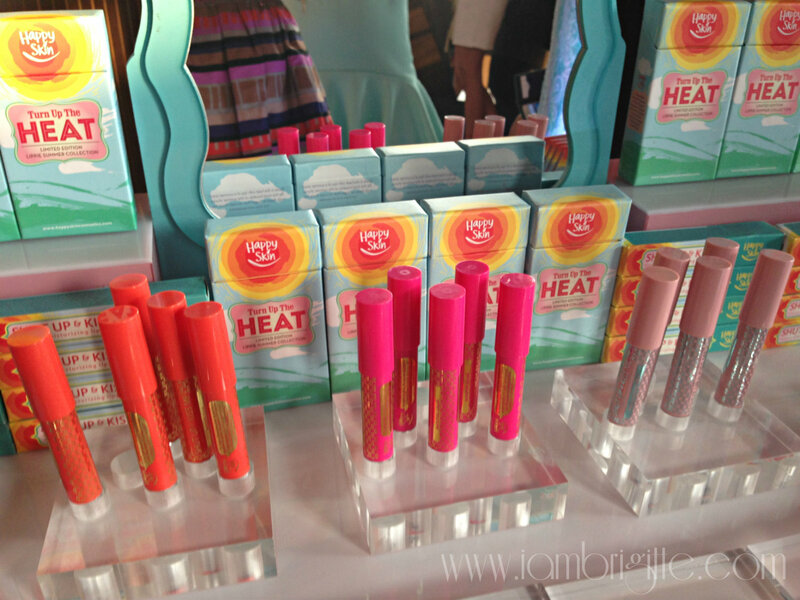 But I've tried Sunset Kiss and it gave me a subtle sunkissed-look that's just perfect for my tan. I love it! And the last stop? 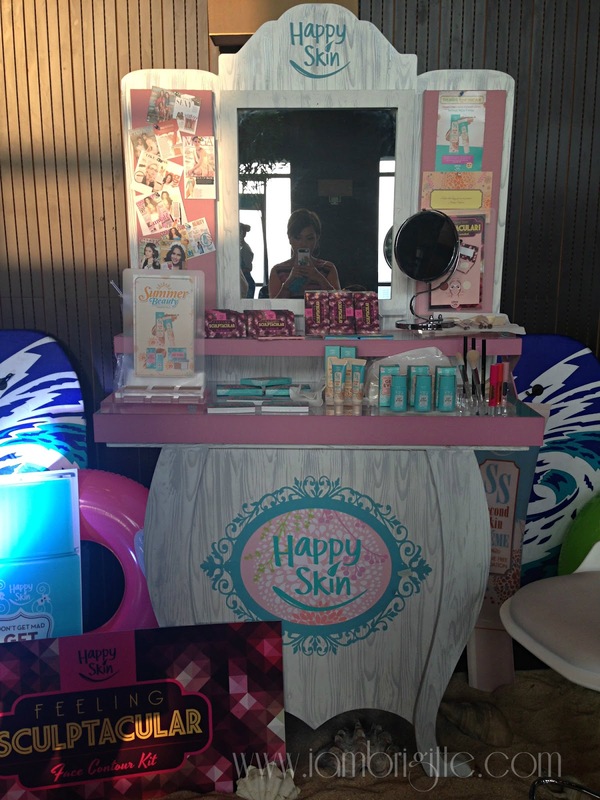 A photo area where guests can go loco over Happy Skin's giant-sized products! Too bad, the rest of the girls already left. Hope to see you again soon, Team E! Phoebe and I showing what lippie's in our makeup kit that day. 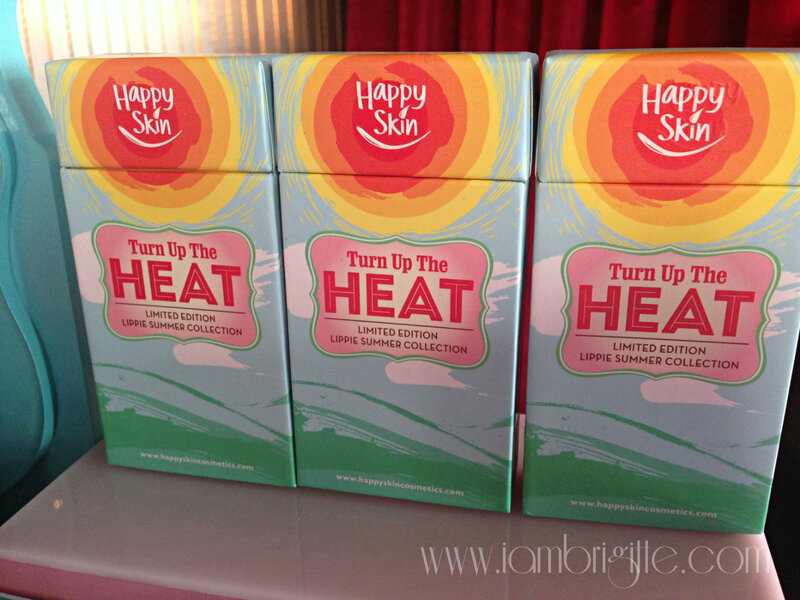 If you haven't tried any of the Happy Skin products, do so! Your skin will thank you for it. Their products will not only make you beautiful, but happier too. 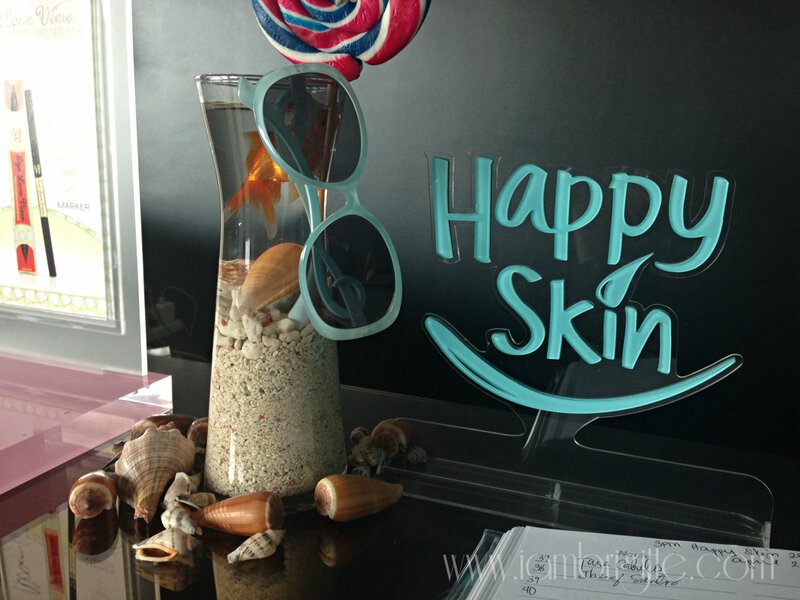 Remember, a skin that's happy is a skin that is beautiful! 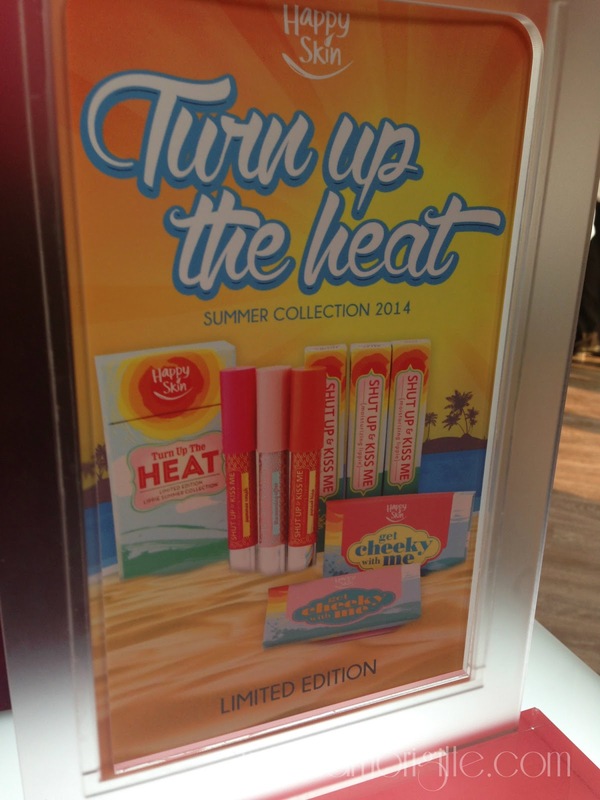 I've been using most of their products since I got my hands on them weeks ago, so watch out for my reviews/swatches. To know more about the brand, their products and ongoing promos, please follow them in Facebook, Instagram and Twitter. 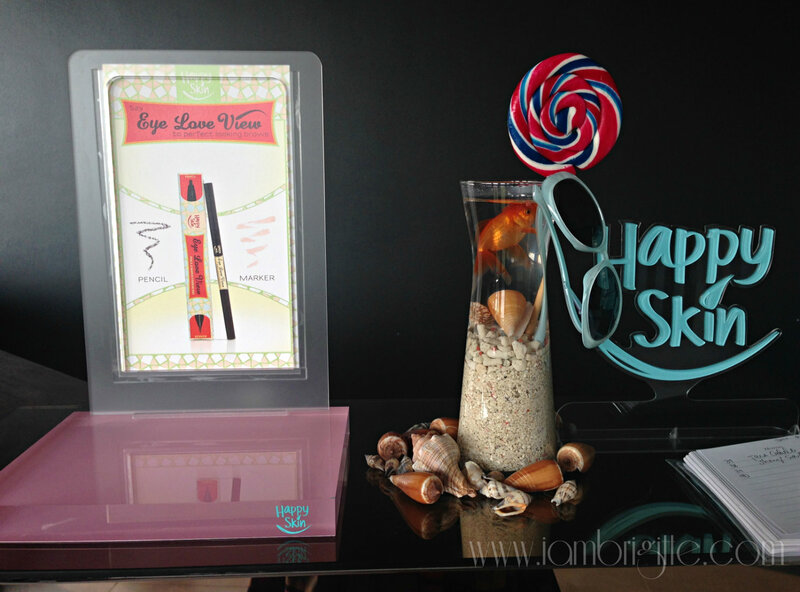 You can also check out their website at www.happyskincosmetics.com.